I have been an Amazon seller for about seven years and I am now getting ready to make the jump to selling on Amazon FBA. I hope to post a series of Amazon FBA for Beginners blog posts about the process and let you know how things go. Just a bit of background… I sell books on Amazon, as well as other media, toys and household products that I source from second-hand locations. I currently have about 8,300 items in my inventory. 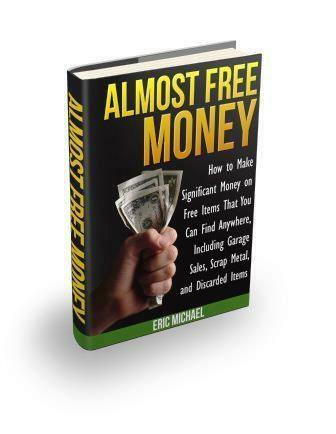 I am looking to make the process of selling on Amazon more like passive income by allowing Fulfillment by Amazon to process orders and handle customer feedback. Additional sales, especially in Q4 – FBA sellers qualify for the Amazon Buy Box and Amazon Prime customers can order from FBA sellers to get free 2-Day Shipping. FBA sellers also qualify for selling toys in Q4 – a big bonus. There are dozens of websites and blogs that discuss the setting up your initial FBA selling account. Here is Amazon’s FBA tutorial. So, what did I do when I decided to go for it and try FBA? I did a lot of reading online. I got on Facebook FBA groups and read everything that people were talking about. In several days, I learned a lot about the process of selling on Amazon FBA and what equipment I should get. Honestly, selling on FBA seems a bit intimidating. There are many things to learn and if you send in your inventory wrong, it will not be listed for sale. It could even get lost forever. There are many different rules for packaging inventory items for shipments to Amazon and there are also rules about the size of your outer shipping box. There are rules about labeling, baby products, the thickness of packaging bags, packing slips and more. But, I figure that if other Amazon sellers can figure out, so can I. Here is my initial list of supplies that I determined would be necessary to start selling on FBA. Some item I already had. Thermal Label Printer – Amazon requires that labels are printed on a thermal printer in order to make the labels legible for 2 years. You can one for about $50 used on eBay, but I went with the Dymo LabelWriter 4X for about $160 because it allows me to print both full size Merchant Fulfilled Amazon shipping, as well as FBA inventory labels, plus eBay and Etsy shipping. I will also be buying some packaging materials within a week – I already have bubble wrap and various sized boxes. I need to get some clear packaging wrap for sealing boxed items and loose items and some shipping bags of various sizes. Many of your inventory items will be required to be sealed inside your box that gets shipped to FBA. I did go through the process of transferring about 12 items from Merchant Fulfilled to FBA. You can do this from your inventory in several seconds. As a bonus, you should be able to raise your selling price for many items, as FBA items often sell at high prices than MF. I got those 12 items ready for labeling (shrink wrapped several of them). Once I get my Dymo 4X, I will label the items and get my first shipment out to Amazon. Stay tuned for the next episode. So far, so good. 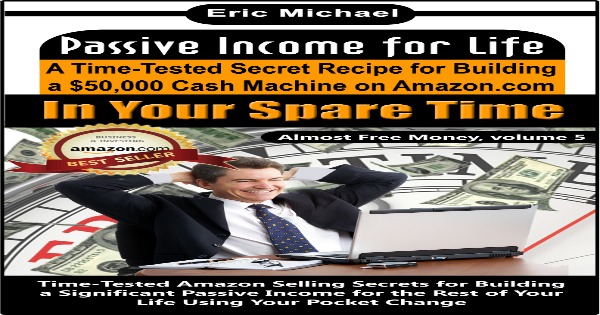 For more information on selling on Amazon, check out #1 Kindle bestseller Passive Income for Life.